Start-Automating offers several courses to sharpen your scripting skills. A PowerShell Primer is one-day course designed to help anyone understand some of the potency of PowerShell. PowerShell Possibilities is a 3-day course that shows you the basics of PowerShell and then puts your knowledge to practical use. Day 1 is a PowerShell Primer. Day 2 introduces you to system scraping techniques. Day 3 talks thru the process of toolmaking. Small steps for scripters, giant leaps for organizations. 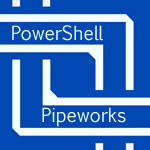 A 5-day deep dive into using PowerShell Pipeworks and creating web, Intranet, cloud, phone, and application experiences with PowerShell Pipeworks. Completely change your automation arsenal by taking this course.